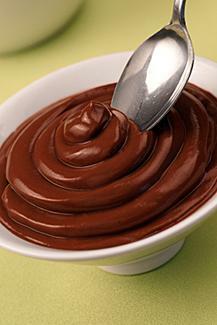 Chocolate mousse is a rich, creamy dessert that is normally milk-based and outside of a vegan's diet. There are some vegan adaptations, however, that can let you enjoy this chocolaty dessert without compromising your lifestyle. 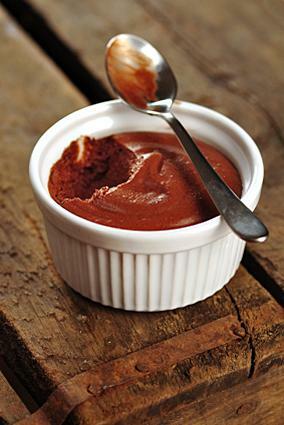 People love chocolate mousse for its creamy, fluffy texture, as well as its rich luxurious taste. The vegan version of this favorite dessert has a lot to live up to, and the recipe below does not disappoint with its hints of almond and semi-sweet chocolate chips. Bring the milk to a slight simmer over medium-high heat, and remove. Melt the chocolate chips in a glass bowl over a boiling pot of water. Stir the chips for quicker melting. Combine milk, tofu and chocolate. Using a hand mixer set on low speed, mix until all ingredients are combined and the tofu is soft and creamy. This may take a couple of minutes. This raw avocado-based mousse is not only delicious and vegan; it contains plenty of healthy fats, fiber and protein from the nutritious avocado as well. Peel the avocados and remove the pits. Cut the avocados into chunks and place them in a blender. Pulse a few times to break the avocados into small pieces. Add the cocoa powder, palm sugar, almond and vanilla. Pour into serving dishes and refrigerate overnight. Rich, creamy chocolate mousse is something that everyone can enjoy - even vegans. Try one of these decadent recipes the next time you get a chocolate craving and satisfy your sweet tooth.